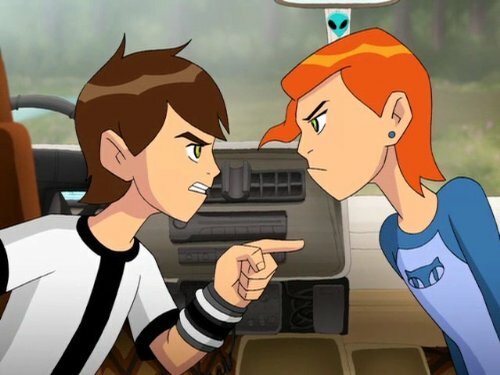 The story of Ben Tennyson, a typical kid who becomes very atypical after he discovers the Omnitrix, a mysterious alien device with the power to transform the wearer into ten different alien species. 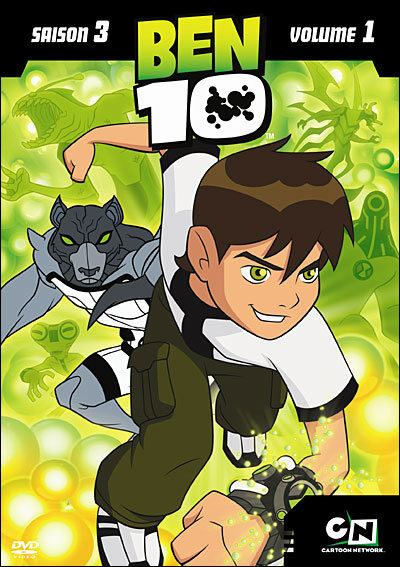 I must say that "Ben 10" is awesome. I really enjoy watching the show, and just watching it progress further and further from where it started. The characters and voices are great (especially Gwen's...he he he). I think that its worthy of watching every Saturday morning on cartoon network, so everyone should give a chance before they say anything, and no one should be saying that its just like "Teen Titans". Because it isn't, it's "Ben 10"...So all that being said, I hope that everybody gives the show a chance. Be sure to catch the new season because it's going to be amazing...Good job to everyone on the show you all deserve some praise because you all truly are amazing! --Kassandra Kate I was like (almost) everyone else in my initial reaction to the torrent of advertisements that Cartoon Network ran on a new series about a boy with a watch. It was mainly along the lines of, "Oh, wonderful. Another pointless show to displace my favorite regulars." Rarely have I "Ben" more wrong, and rarely have I been this glad to be wrong. My brothers were watching it long before I saw my first complete episode, but they will watch anything that moves on the television screen, so I thought little of it. After my first episode, I watched another, and so on. Yes, I noticed that it was primarily for 8-14 year olds, but I still found it entertaining. Here's the thing, though: yes, my brothers like it, and they are the target age group, I like it, and I am 18 years old; my dad even likes it, a little, and he's 40 and hates cartoons. I humbly submit that age has less to do with it than one might think. To those of you who have not seen the series, watch it (at least one episode, start to finish) before you criticize. Okay, fine, the presentation is aimed at the younger audiences, but the concept is solid super-hero-hits-sci-fi awesomeness: A person finds a watch-like, alien device that is "the key to an ancient power-struggle..." (Presented like that, I'm interested already). This person (a kid in the cartoon (probably) because that is their target audience) decides to use the abilities of the watch fight for good and serve those around him. But his struggle is not so easy, as the forces of the galaxy are not all so benevolent. An alien warlord wants the device to equip an army to conquer (it's not cliché, it's classic). Now he must do battle with the evil in his own people, as well as that within other races of the galaxy. And he must do it using the powers of a device that does not enhance his own power, but gives him the great strengths of others. I'd be sold after a description like that, but that's not the point. The point is that it could be one of the great superhero stories along the lines of Batman, Superman, Spider-man, etc., and maybe even a live-action movie. Maybe one day, but for now, I can't wait to see how the next episode turns out.